The world's only patented pole banner kits. Two piece cast aluminum base with patented absortion spring allows the BannerSaver Bracket system to adjust to the direction & speed of wind. 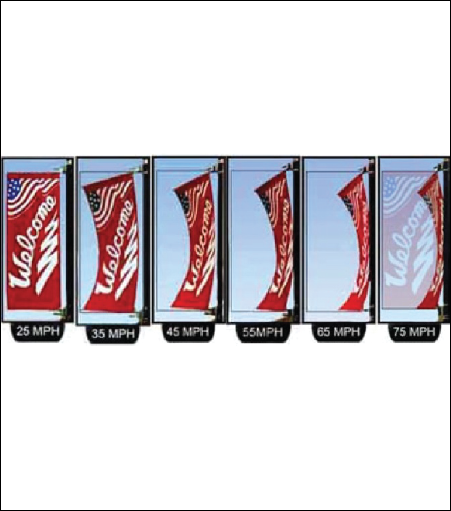 3/4" removable fiberglass banner arm with tempered aluminum sleeve. Aluminum sleeve prevents rod wear and ads 20% more strength to arm. Banner arm angles away from banner at rod tip, keeps outside banner edge taut.